The American Red Cross is preparing for its second large-scale hurricane relief effort in less than a month as Hurricane Michael moves toward Florida's Gulf Coast. This dangerous storm is still strengthening, and the Red Cross urges people in its path to obey evacuation orders and get ready now. The Red Cross is also working with partners to prepare evacuation centers, trained disaster workers, relief supplies, vehicles and other equipment to help people in the affected area. Right now, more than 500 disaster workers are traveling to the Gulf Coast to help. They will join hundreds of volunteers already on the ground. To find evacuation shelters in Florida, click here. Click on the square shelter icon to find the facility name, address. Navigate the information and if you see "EVAC," it is an evacuation center only. There is also a list of the evacuation centers and shelters below the map. As people come to the center, you will see daily increases in the numbers at the center. Cots are typically not available. People are encouraged to bring sleeping bags, or mats to sleep on. We have created the Hurricane Florence Story Map (Click on this link or copy it into your browser) that can be shared with everyone to provide information about how the American Red Cross is working with partners to support and comfort those affected by the storm. It also provides useful tips about what to do after a disaster and how people can help. This story map can be shared widely. 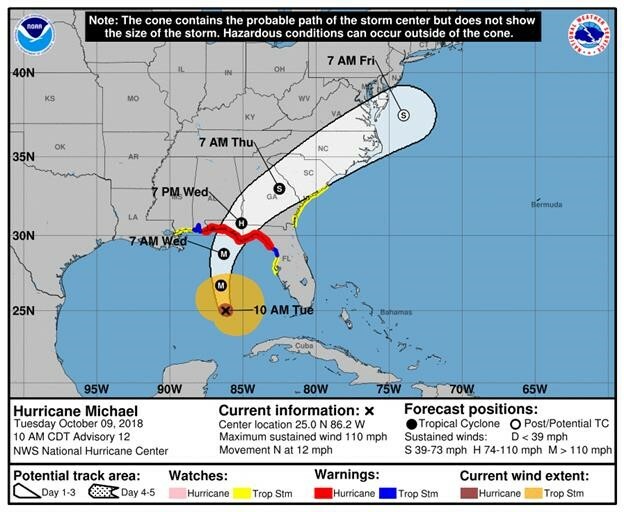 As a trusted partner of the American Red Cross, we would like to share our Hurricane Florence Partner's Brief and Hurricane Michael Partner's Brief (Click on the links or copy into browser) with current information. Please do not share these briefs with the general public. It is designed to help partners have common situational awareness about emergencies. If you have questions about the tool, please reach out to April Wood at April.Wood@redcross.org. The American Red Cross urges everyone to make sure they are prepared for a disaster and not wait until an emergency occurs and it's too late. People should take steps now to be ready if an emergency occurs. It's critical that all members of one's household know what to do. 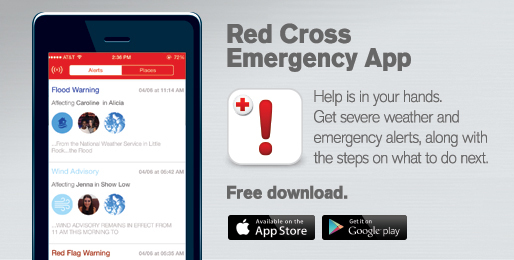 You can download the Red Cross Emergency App to have safety information available on your mobile device. If you need to find a shelter or evacuation center, you can visit redcross.org, check the Red Cross Emergency App or call 1-800-768-8048. This all-inclusive app also lets you monitor more than 35 different severe weather and emergency alerts, to help keep you and your loved ones safe. Text "GETEMERGENCY" to 90999 or download the app from Google Play or the Apple App Store.